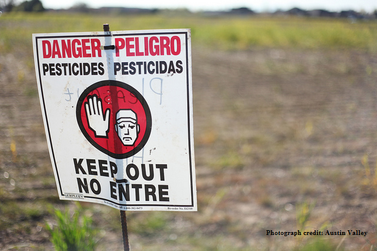 Many of us have suffered the ill effects of chemical pesticides and fertilisers. We know that the perilous long-term consequences can be cancer, neurological disturbances, and birth defect among many others. At the Dr Anand G Naik Kurade Memorial Seminar at the Sanskruti Bhavan, Panjim, Dr Claude Alvares said, ‘We have to take charge of our food. The pesticides and fertilisers used by farmers are poisoning our bodies.’ He went on to attest to the injection of red colouring into watermelons to make them look appealing. If we have the drive to make a difference we can grow fruit and vegetables in our homes: in crates, sacks, tyres, pots, etc. People have succeeded in growing grapes on their terrace and wheat in sacks. Herein lies the veracity of the adage ‘Where there is a will, there is a way’. Dr Alvares went on to say that pesticides in grapes cause allergies and throat problems, and excessive irrigation by farmers can be evinced in the increased water content in fruit like tomatoes which shrivel up when left out for a couple of days. ‘Formal education destroys our connection with the environment,’ said the environmentalist, who has started his own kitchen garden at home. Patricia Pinto spoke about composting, an essential to growing your own garden without chemical fertilisers. ‘I learned composting out of necessity,’ said Patricia, as Kurka, the place they used to dump garbage, was no longer available. She approached Goa Foundation to learn about composting, which they were doing at colony level. She visited the Kamat Garden composting unit and found that it was done so well that there was no foul smell emanating from it at all. Unfortunately, the composting is not done with kitchen waste anymore but leaves because people have stopped segregating their waste. The most important thing to do if you want to create compost is discipline yourself to segregate waste at the source. One can use any container and spread sugarcane bagasse at the bottom. Alternately, a layer of leaves or straw can be used. For the next layer, a slurry of cow dung can be made. If your container is made with metal netting then layer the bottom with sacks. If cow dung is not available, one can use EM (Effective Microorganisms). Then put in a layer of your waste, one top of that a layer of cow dung or EM and then a layer of leaves. There has to be adequate amount of moisture, carbon and air for composting. Make sure there is enough moisture by spraying water. Containers for composting can be anything from clay matkas to composting units to plastic drums. There are tumble composters and mechanical composters for bigger quantities of waste. Yogita Mehra of Green Essentials gave advice on growing seedlings. There are various reasons why seedlings die or are stunted in growth. Overwatering is what cuts short the life of most seedlings. An obvious indication of overwatering is the formation of a green mossy layer over the soil. Do not use a hose pipe to water nursery plants because it will lead to overwatering and the impact of the water will be too forceful for the seedlings. A rose head watering can is the best option. The presence of too much clay in the soil leads to excessive elimination of oxygen when it is watered. This will leave little or no oxygen for respiration. The soil will appear caked when wet and cracked when dry when there is more clay. The solution is a 50:50 mixture of coco soil and vermicompost. Coco soil (dust leftover from the coconut husk once the fibre is removed) helps in holding moisture. 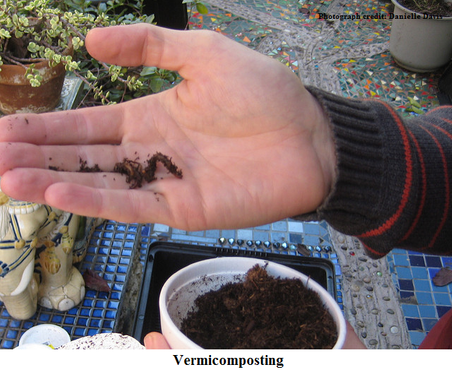 One can use dung and compost too, but vermicompost is better for nurseries since the soil passes through the intestines of the worms and is therefore free of weed seeds. If seedlings are lanky and falling over, it means they are lacking sunlight. Temperature plays an important role in triggering germination. There may be difficulty in germinating herbs in Goa because the climate is not conducive to the process. Lettuce grows well but parsley and celery will sit around and germinate only when the temperature suits the process. Seeds can be grown in pots, recycled or repurposed small containers and specially made beds. Depending on the size of the seed, one should increase the depth of the soil. The smaller the seed, the closer it should be to the surface. The frequency of sowing seeds at household level kitchen garden should be about every 2 weeks for leafy vegetables and every 4 weeks for fruiting and root plants, so that as one set of plants is close to maturity another set is already close behind. Make sure you label and date seedlings to avoid confusion. A good technique to test the quality of your seeds is to moisten a serviette and roll the seeds in it. Check the germination level every day for ten days to estimate how good the seeds are. Panchagavya, a concoction of cow milk, dung and urine, and curds and ghee can be used to act as a fertiliser and pesticide. Dr Cassie Rodrigues, principal of Don Bosco College of Agriculture, Sulcorna, explained the requirements for successfully transplanting seedlings and helping them to thrive. The pots can be of plastic or clay, but it is essential to remember that the pot must have proper drainage for excess water, adequate porosity for aeration and be of a size appropriate to the size of the plant that will eventually emerge from the seedling. The pot should be 1/3 or 1/2 the size of the plant when it reaches it full growth or else the roots can become congested in small pots and this will adversely affect plant development. The soil should comprise of soil or coco peat, sand and compost in proportions of 1:2:1. Once the cotelydons which nurse growing seedlings shrink as a result of being used up and then fall off, the leaves will come up. This means that the plant is capable of the photosynthesis necessary to make its food. Now is the time it can be transplanted. Once transplanted it needs enough sunlight, water and nutrients to keep it alive and flourishing. This valuable advice will do much to encourage and guide first time gardeners in their green ventures (and adventures).